Date posted: September 1, 2016 by: JasonDarkX2 Category: Tech Tutorials 13 comments. So you recently upgraded or bought a Windows 10 PC. Just to find out that you can’t get a WampServer running and get back to work on your web project locally. But for those who have no idea what I’m talking about WAMP stands for Windows Apache MySQL PHP. Essentially, it’s of the many available Web stacks you could use a solution to your web development. 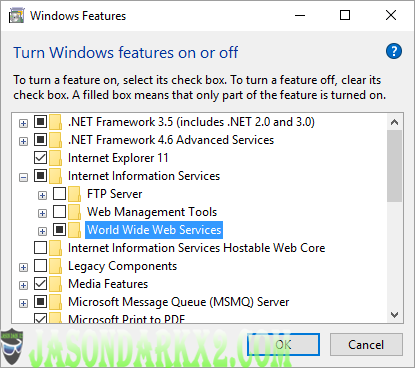 Putting it in plain English it’s a software bundle for your Windows Web server. Most often the case, you’ll be using Wamp for local development of your web apps or websites to be then moved your online hosted site usually running a LAMP stack. Without any further a due or rambling into technicalities. 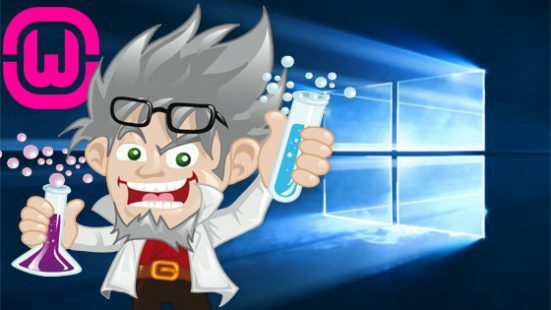 Here’s the solution to getting Your WampServer running on Windows 10. Once you have everything installed, try running your WampServer as administrator if you notice that the Wamp icon in the system tray is stuck on either Yellow or Red state. If you got any of the following error messages "missing VCRUNTIME140.dll and/or MSVCR110.dll" during installation or upon starting WampServer. That's confirming that there is an issue with your C++ Visual Studio redistributable 2012 and 2015. Ensure that you have installed both 32-bit(x86) and 64-bit(x64)versions if you're on 64 bit OS and only x86 version for 32-bit OS respectively.To ease some of the the guess work of which is missing, MSVCR110.dll has something do with 2012 Visual Studio C++ Redistributable 32-bit(x86), and VCRUNTIME140.dll is one or both version of 2015 C++ Visual Studio Redistributable. Afterwards run Wamp as administrator. Then head over to Wamp icon the system tray icons and open up the menu, select Apache, Service administration, Finally select Install Service. 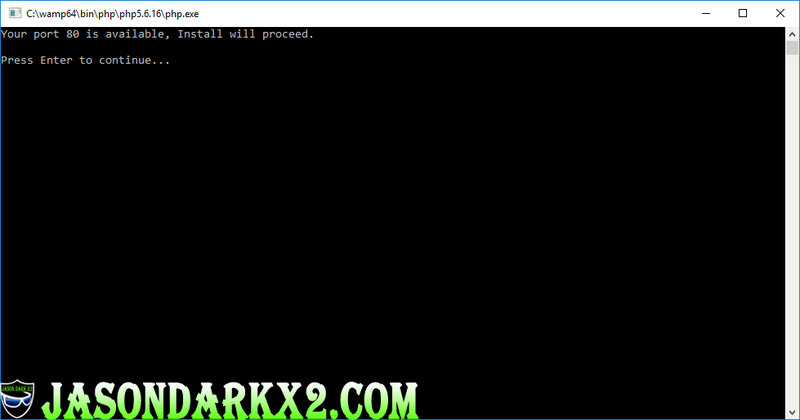 A black command prompt window will appear, simply hit enter and let it run once finished it will close on its own.Otherwise if you got an error instead stating that Windows IIS is using port 80, you would have to disable Windows IIS services or change the port for WampServer Apache httpd.conf to 8080. But for simplicity we'll disable Windows IIS service. You can do this by heading over to "Turn off Windows features on or off" in control panel under programs and features on the left side. if you're using Windows 10 tablet style touch controls you can get their by going into settings in windows start menu, then System, Apps & features, scroll to the very bottom and hit Programs and features.Bringing up a window and on the left side is "Turn off Windows features on or off". Once in Windows Features option window, You'll want to look for Internet Information Services. Expand folder and deselect World Wide Web Services, hit OK and let it save changes. Then try installing WampServer Apahce service again in previous step. Afterwards head over to Wamp ion the system tray icons and open up the menu, select Apache, Service administration, this time select Start/Resume Service. If successful the WAMP icon in system tray will be green instead yellow/red. Now you go to localhost to load up the apache page and begin web development on you Windows 10 computer. Jason, thanks for the guide. Installation of visual components complete for 64 bit OS as per your guide, however, when I load wamp (tried 4 times – deleted /wamp files and reloaded) i get “msvcp120.dll was not found. Reinstalling the program may fix problem. ” Also get msvcr120.dll error. Hi, as I’m unable to replicate your exact issue on my end. When there is a MSVCP .dll missing for an applications it’s usually correlated to Microsoft C++ redistribution. Have you installed both the 64 bit and x86(32 bit) Visual C++ Redistributable for Visual Studio 2015? Otherwise might have to install an earlier version as well. 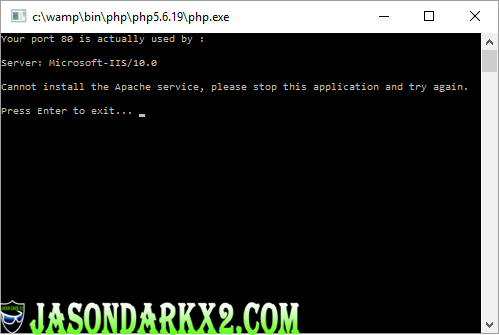 can not install the apache service plz stop the application and try again. i noticed someone already asked you this question and you said it will be fine since that’s the apache version that came with the installation. i want to know if the wamp server since its icon is not showing blue if really it is working fine and the color does not really matter, because the wamp server installed in my windows 10 computer says that only two services are working…. Well if it says your port 80 is used by Apache and PHP. When you tried to install the services, it means they are already installed and running no need to do the install service step. You’ll only need to do that step if you are getting a red or yellow WAMP icon informing you that 1 or none of the services are running. In order to get WAMP running correctly you need All services running and Green Icon. To check if your WAMP server is running you could simply go to localhost on your web browser and it should show the WAMP server page like the one shown in the tutorial. Otherwise it would show a 404 or can’t find page error if your WAMP server isn’t running. Visual C++ Redistributable for Visual Studio 2015(Download and install both x86 and x64 version if you’re on a 64-bit windows OS)” needs to be installed prior to commencing with WampServer installation, right? And what about installing Microsoft Visual C/C++ Redistributable 2013 (VC13) (both versions as well)? Is it needed? Thanks in advance for your reply! Nope,you don’t really need Microsoft Visual C/C++ Redistributable 2013 (VC13) because an updated version is included in the Visual C++ Redistributable for Visual Studio 2015. Unless what you’re developing needs VC2013 for compatibility reasons. But for WampServer all you need is the 2012 and 2015 one to resolve the errors and problems on Windows 7 and/or Windows 10. Thanks, Jason! The WAMP tray icon turned green. However, I think it is fine because that is Apache version that came with a 64-bit WAMP installation and I have disabled IIS before commencing installation. I would greatly appreciate an assurance from your side over this matter. Yes, the general assumption be one would be required to install the missing Apache service in order to properly run wamp Apache server. But if you get a prompt like that port 80 is already used by Apache, you could pretty much skip that step entirely, as everything should be fine at that point. Flawless tutorial, got my wamp server working on windows 10 laptop. I’ve spent hours trying to figure out wtf was up with Wamp on Windows 10. Who knew it would be that simple, Thanks for the guide.